Long time ago we used to believe in media, not on whatsapp fake news but where do we go now when main stream media is also openly spreading fake news. Since inception of 2000 Nano GPS chip last November, not mainstream media is also running on WhatsApp saving Journalist’s salaries. 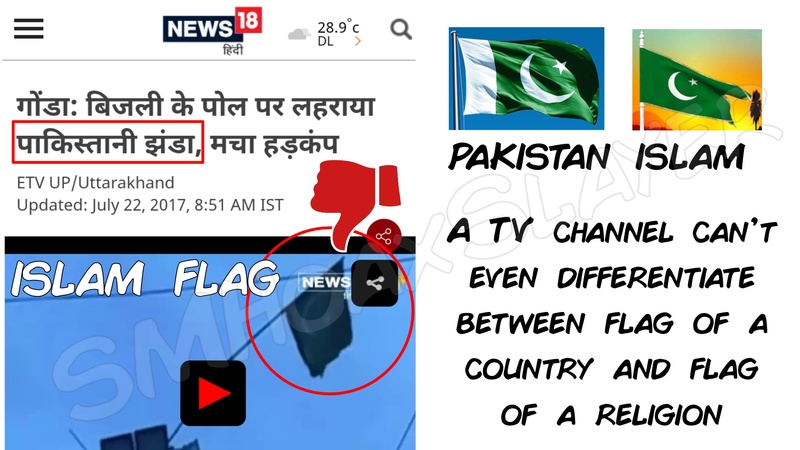 Two days back it was Republic and Times Now it’s News 18. This is flag of Islam, not Pakidtan’s. Pakistan flag has a white vertical strip on right side. ← Will you be caught by GST Patrolling Squad in latest Innova cars ? Was this bike gonna explode on Independence day ?